When I’m not crocheting amigurumi, I’m usually working on baby hats. I’m part of a group at my church who make them to donate to local hospitals. Since quantity matters, I’m always looking for ideas for cute hats that aren’t going to take an enormous amount of time. 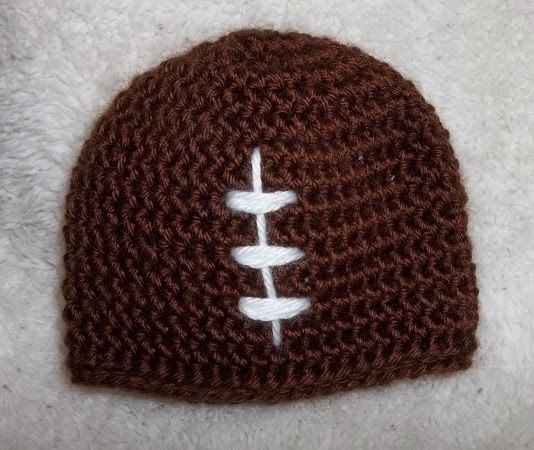 Because the structure of a beanie is so simple, it makes a great pattern to start with if you’re wanting to start designing your own crochet garments. This month, I thought I’d post some basic hats and variations to get you inspired. Remember when you’re making baby hats that the finished product should be safe and comfortable. Avoid buttons or bobbles that can be easily pulled off and might pose a choking hazard. Also, make sure you choose yarn that’s soft, not scratchy, and easy for the new parents to clean. This is the pattern I use as a base when designing my baby hats. It’s very simple and can be adjusted and improvised on in hundreds of different ways. If you want the hat to be bigger, simply keep increasing after Rnd 7. Back Post Half Double Crochet: Wrap your yarn around your hook once. Insert your hook from the back around the upright post of the stitch from the previous round, coming back out the back. Yarn over and pull through. Yarn over and pull through all three loops on the hook to complete the Hdc as usual. This leaves a nice raised edge of stitches for a textured border. The hat should end up being about 4 ¾ “ tall. If it isn’t tall enough, add a few more Hdc-56 rounds. Finish off with a sl st and weave in ends. 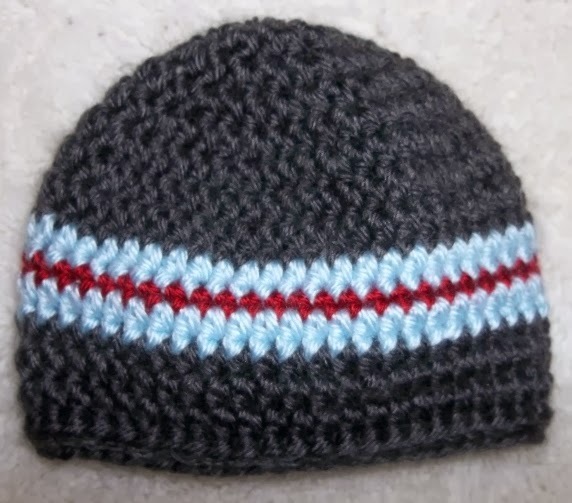 Add stripes in various colors and widths (I used hdc stitches for the blue stripes and sc stitches for the red). 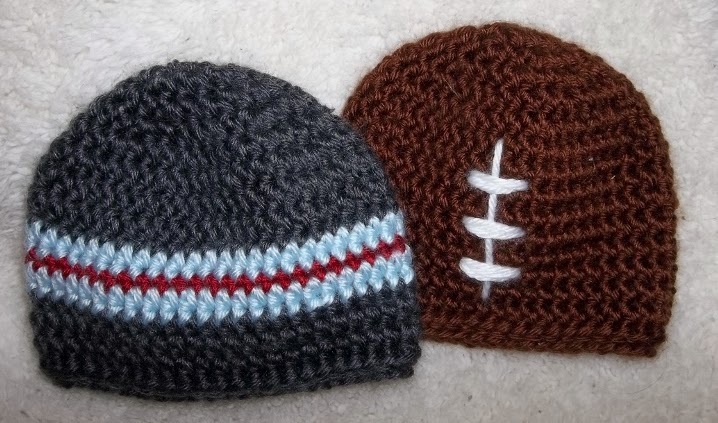 Add decorative stitching to make the hat look like a football for your favorite sports fan. (A baseball or basketball would look adorable, too)!